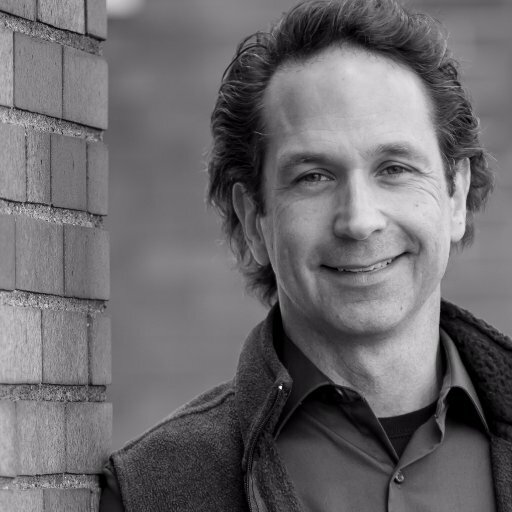 This week on EntreArchitect Podcast, The Entrepreneur Architect Series featuring Lee Calisti. Lee Calisti is based in Greensburg, Pennsylvania and is a licensed architect and founder of Lee Calisti Architecture and Design. He was one of the original founders of AIA Pittsburgh chapter’s Young Architects’ Forum and was a co-chair for seven years. He’s served as a regional liaison representing Pennsylvania as part of the AIA National Young Architects Forum. He serves on the City of Greensburg History and Architecture Review Board and trustee for the Greensburg Alliance Church. He’s active in social media and is a regular writer for the #ArchiTalks blog series. Lee wanted to be an architect ever since he was a child. Early in grade school he discovered drawing and had a passion for comic books. He worked to replicate what he saw in the comics and developed skills in his early days. In junior high, he had an art teacher who was a great inspiration, he promoted creativity and encouraged Lee to develop his skills further. He was fascinated by architecture, checking out books from the library to learn more. Soon enough, he designed houses and built model. His mother bought him a drafting table as a kid and he spent hours there. Lee focused singularly on architecture. He applied for school and plunged into the world of architecture. He took design classes at night and got connected twitch an adjunct professor who was hugely inspirational to him. His professor was working for a firm and doing work on the side. Recently, Lee was able to connect with him to thank him for his patience and inspiration. After finishing school at the top of his class, he went to work for an architect he’d spent summers with previously. He learned the nuts and bolts of working in an architecture practice. After that, he went to work in downtown Pittsburg. He loved the big city where he was exposed to lots of different things, and it was those experiences that prepared him to launch his own firm. His son was born shortly after, and Lee started teaching as an adjunct professor. He wanted to be an architect and a teacher just like those who mentored him. Everything leading up to that point prepared him, but couldn’t replace the hard work it takes to start a firm. Lee borrowed money from his personal savings with the promise to pay it off within a year. He brought work in slowly but surely and paid off the loan without having to borrow from a bank. Down the road, he realized that, unfortunately, he couldn’t do both architecture and teaching. His personal practice was growing and he needed to focus on that exclusively. Last year, Lee began considering hiring his first employee and started the wheels in motion to expanding his firm. When Lee was an intern, it was important to him to become licensed. He wanted to reach that goal as soon as possible, and he had to do a ton to fulfill the requirements. He wanted to do it in the minimum amount of time, which was three years, and was upset when he didn’t. He disciplined himself and spent time doing the work every day. After finally making it through the exams and waiting a few months to hear his results, he got a letter in the mail with his passing scores. It was such an intense experience for Lee, that he got a nosebleed literally during the 11th hour of his testing. After being practice several years, Lee had a situation where he thought legal action might take place. Thankfully it didn’t! After working with his insurance company, he wrote a letter and the whole ordeal ended. He ran into the client years later, and the client admitted fault. Having an LLC gave him some peace of mind, but more than that, he wanted to keep good terms and maintain pride in himself and his brand. Balance has always been the key to Lee’s success. He feels he hasn’t always been the best at design, but he was able to balance that skill with all his others. There’s so many things that architects are expected to do or be good at, some of them may not be inspirational, but you have to get them right. Lee has learned to do lots of different things, despite his various strengths and weaknesses. Connect with Lee online at ThinkArchitect.Wordpress.com or leeCALISTI.com. You can also find him on LinkedIn, Twitter, Instagram and Facebook.